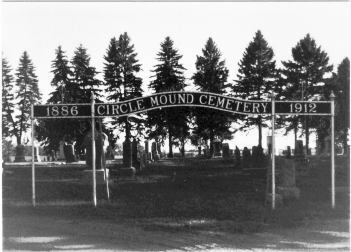 Cemetery location: .5 m. N of Rising City, Sec. 10, Reading Twp. Contributors: (1) T & C Miller photos - Sep 1990. This is NOT the entire cemetery, and is probably NOT complete for any one surname (especially since the Miller trip was nine years ago). No index for this cemetery known. We do not have plot & grave numbers. (2) Donna L. Ellis, Marilyn L. Ramsay photos 2002. 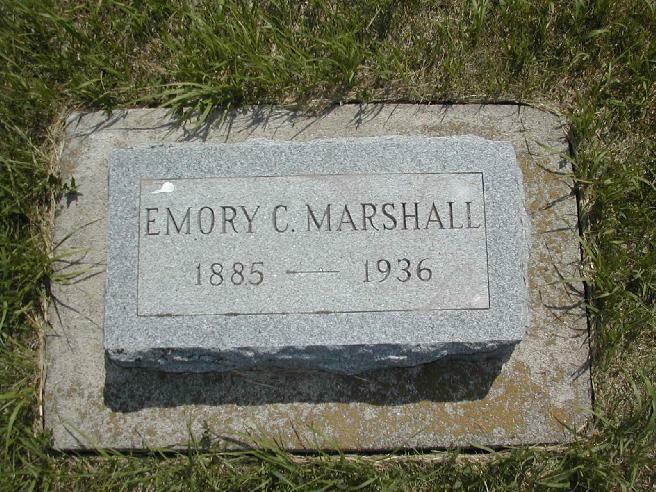 Note: Emory C. Marshall - son of Parker B. and Nellie M. Marshall. Note: We don't know where Parker is buried. 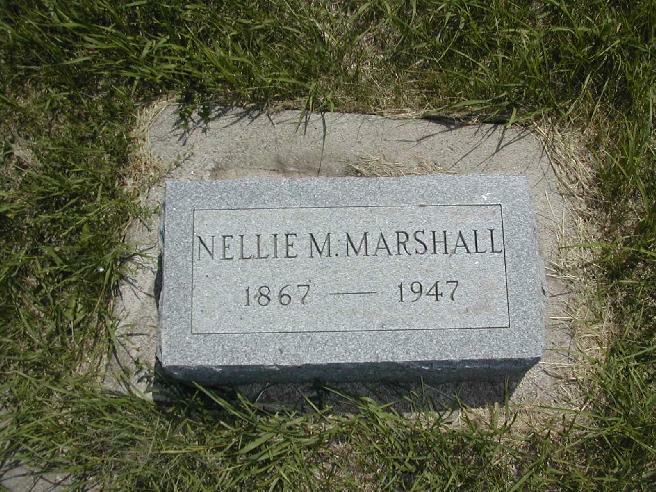 His death certificate states that he died at Hastings State Hospital, Ingleside, Nebr. 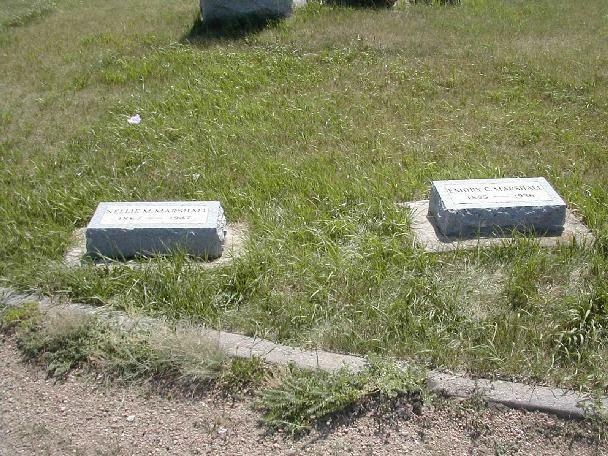 at age 70, he may be buried at Ingleside, Adams Co., NE but we have no proof of this. We have not found an obit for him, but we are still looking in hopes that it will explain why he was at the hospital. 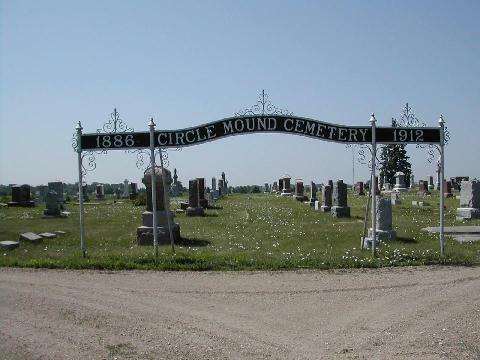 The man in charge of the Circle Mound cemetery books told me that Emery and Ellen graves are recorded in the cemetery books, but that there is no entry regarding Parker.